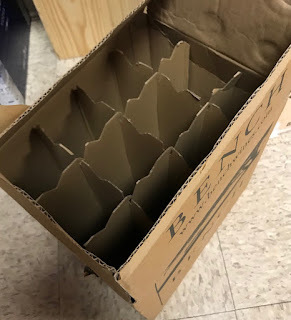 The Wine and Cheese Place: We need empty wine boxes! Recycle your wine boxes at our stores! Every holiday season we run out of wine and beer boxes. If you want to recycle your wine boxes and beer case boxes bring them back to any of our locations. We can use them and get them into good hands. Next time you buy a case, just throw the box back in your trunk and bring it by on your next visit!